Social Media Optimization (SMO) is a new age of marketing that helps you to maximize your traffic or your customer. Some most SMO sources are Emails, Social Networks (Facebook, Twitter, Google Plus, and LinkedIn etc. ), YouTube and other content sharing & bookmarking site like Pinterest. Facebook connects you to millions active user. It helps you to target users, based on their age, locations, groups or gender. Facebook is a mile stone in SMO world. 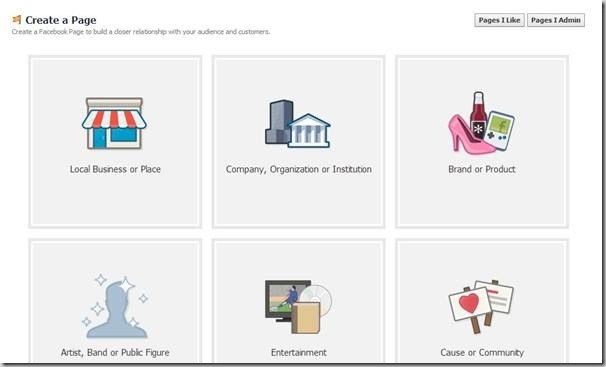 When content is created, A Facebook User share it with their connections. When they like the content or Fan Page, all their contacts are informed on their news feeds. When they become your page fan, they receive updates and information from you automatically about your product or business. To popular your brand, website Facebook fan page helps a lot. 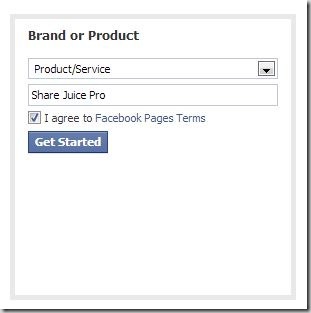 Why Facebook Page is most popular in SMO? Because it get more page views than other social networks. If we consider population, Facebook can be third largest nation. Facebook is available in more than 70 languages. 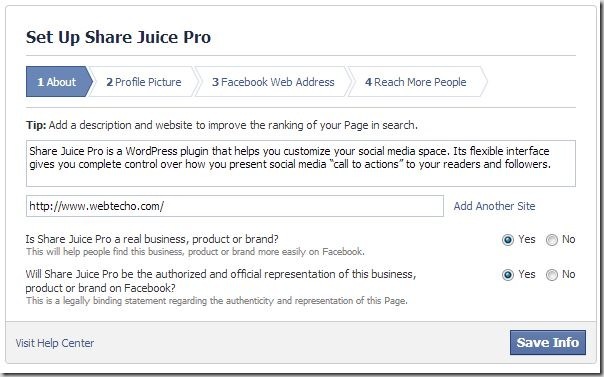 So Facebook is playing a great role in Social Media Optimization. 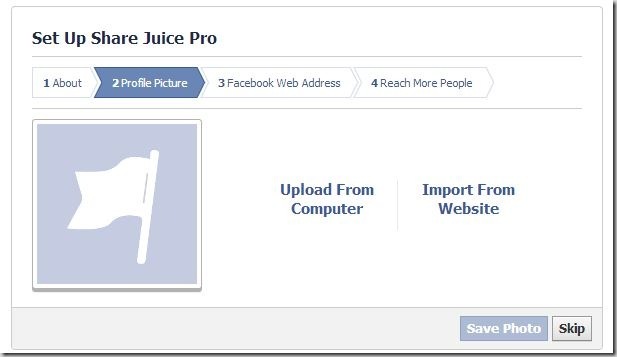 Login to your Facebook profile. 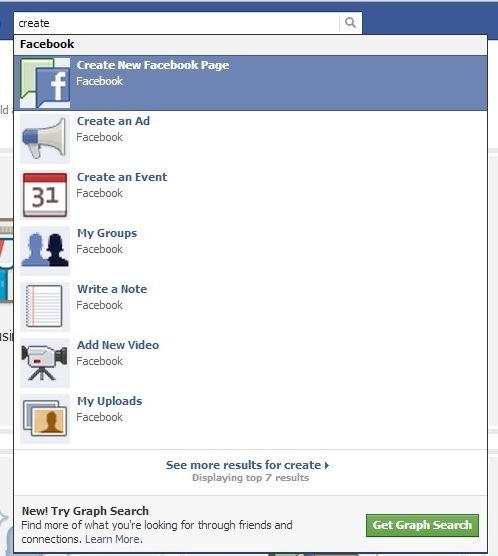 If you don’t have a Facebook account, you have to create it first for creating a Facebook fan page. Now you will see six types of Facebook fan page categories to choose. (i) Local Business or Place – This fan page category is for local business or a place in a map. (ii) Company, Organization or Ins. – This fan page category allows you to add your company or an organization or your institute or college. (iii) Brand or Product – If someone have his personal brand or product, then he should choose this category to popular his product. (iv) Artist, Band or Public Figure – For individual person, or a group activity (band) choose 4th category. (v) Entertainment – This is a random entertainment category, to add any entertainment thing, like jokes page, image page etc. (vi) Cause or Community – To popular a community or solve a cause (like global warming is a cause) choose 6th category. Select Category, Enter your fan page name, Check terms & condition. And then click Get Started. Save the info, it will take you to next Profile Picture tab, Choose a display picture for your Facebook fan page, you can grab it from a website or obliviously can choose from your hard drive (from computer). According to Facebook, your profile pic should be in 1:1 ratio or Facebook will automatically crop the picture (minimum 180px). Save profile picture and jump to next step. Now jump to 4th step. 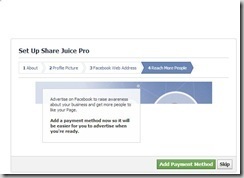 It is all about Facebook ads. 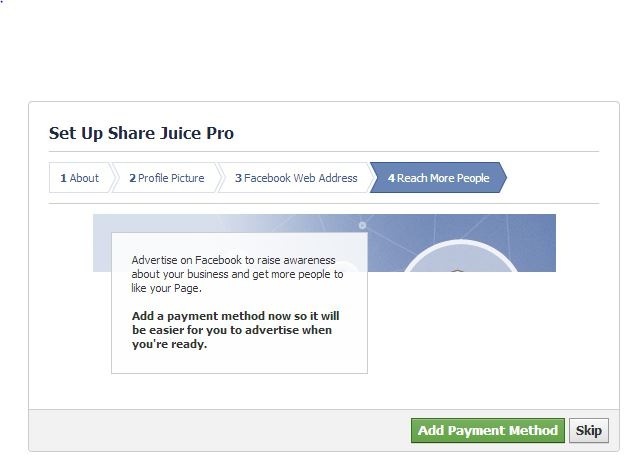 If you want to reach more people in a day then enable Facebook ads for your fan page. Else Skip it to proceed to your Facebook page. Now your page is ready. Facebook will show you a tour for managing the Facebook page. You can add a timeline cover (size 851px * 351px) to show your brand. 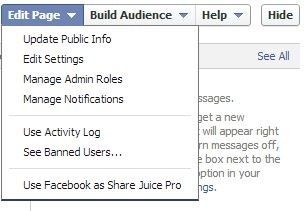 (ii) Build Audience – Via this option you can invite bulk email contacts to like your page, invite your Facebook friends, share page on your, friend’s or group’s wall. 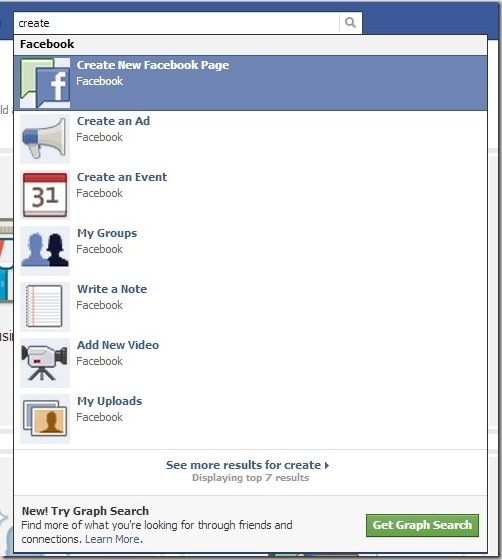 And from this tab you can create and manage Facebook ads. (iii) Help – This will help you in some common issues of Facebook fan page, and you can send feedback via it. 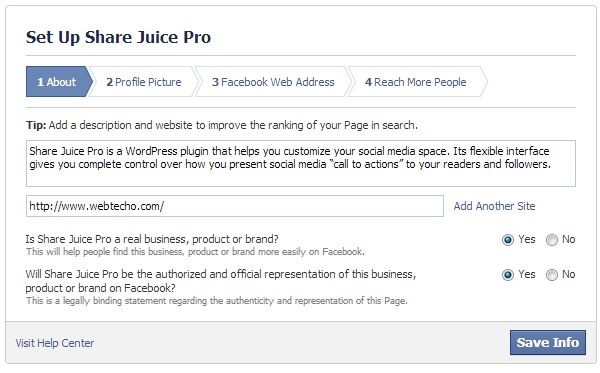 So After these all steps your Facebook fan page will be ready for posting and sharing your information about your products. And whenever you will get likes and new notifications, a new option will appear in admin panel – Notification. From this you can see your notifications.